Ladys and gentlemen – may we have your attention, please! 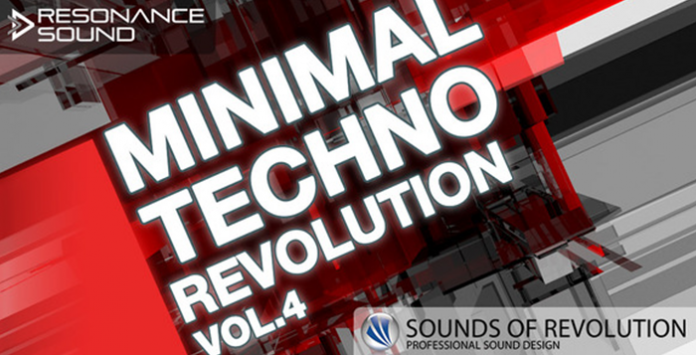 Sir Oliver Schmitt aka SOUNDS OF REVOLUTION (SOR) got just ready in time to continue his highly anticipated Minimal Techno Series distributed by Resonance Sound! All lovers of minimal techno and so much more EDM are about to get the very rare goods of meticulously handcrafted sounds they’ve always been searching for: no matter whether you’re after spine-tingling, dancefloor-kicking loops, never-heard single shot samples covering everything from classic analog drums and cymbals to exotic percussion or just some weird fx – it’s all in here! Since SOR customers are known to be hard to please – for a good reason – Mr. Smith didn’t dare to disappoint the audience: meet the special section of “organic sounds”! Live recorded sequences and much more are ready to make your next tune stand out and move the masses in no time! Besides being handcrafted with all modern studio weapons, the loops (127 bpm) are leaving enough headroom for all those little spices you might have in mind for your next hit.